Here you will find a broad brushstroke description of the present vocations dicernment and formation practice in our British Province of Carmelites, as it applies to potential friars. See also our specific vocations website. Carmelite spirituality speaks with great clarity of the unique beauty of the human person and the wonder of our destiny. Nothing is more precious than a human being, and we must approach each person with profound respect for the presence of God already active in their lives. In the process of discernment and formation nothing must be lost of what God has given but individuals should be helped to reach the full stature of their humanity. Carmelites seek to be contemplatives, inspired by the example of Mary. 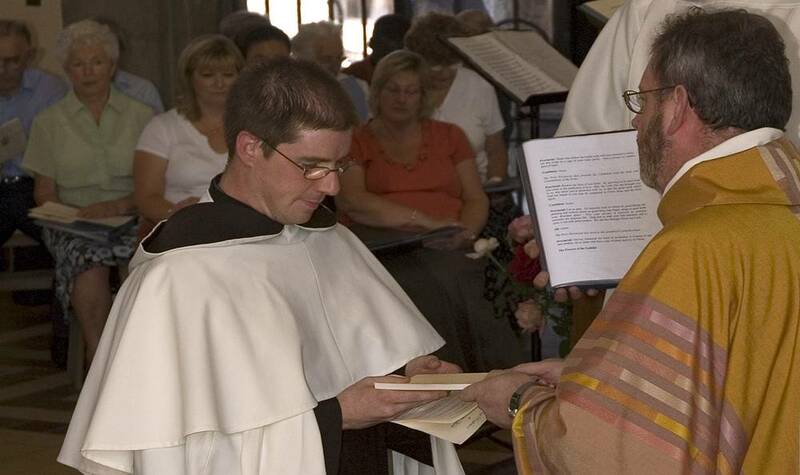 A person who applies to join the Carmelite Order as a friar in Britain will normally be at least 21 years old, and should have been a practicising member of the Roman Catholic Church for at least two years. Experience shows that candidates over 40 can find it hard to adjust to the community way of life, but every enquirer is considered on his individual circumstances. Only very rarely are candidates accepted from outside these islands. Carmel exists worldwide and the Vocations Coordinator can usually advise about Carmelite life in other parts of the world. If you think you may have a vocation to the Carmelite way of life, the first step is to make contact with a Carmelite in your local community (if there is one), or with the Vocations Coordinator. The promotion of vocations to our way of life is the responsibility of each Carmelite, but a specific mandate in this area is given by the British Province to a Vocations Team. The team includes a Vocations Coordinator, currently Fr. Damian Cassidy, O.Carm. His role is not that of a 'recruitment officer'; rather, he and fellow Carmelites accompany people on whatever path God is calling them to take. Fr. 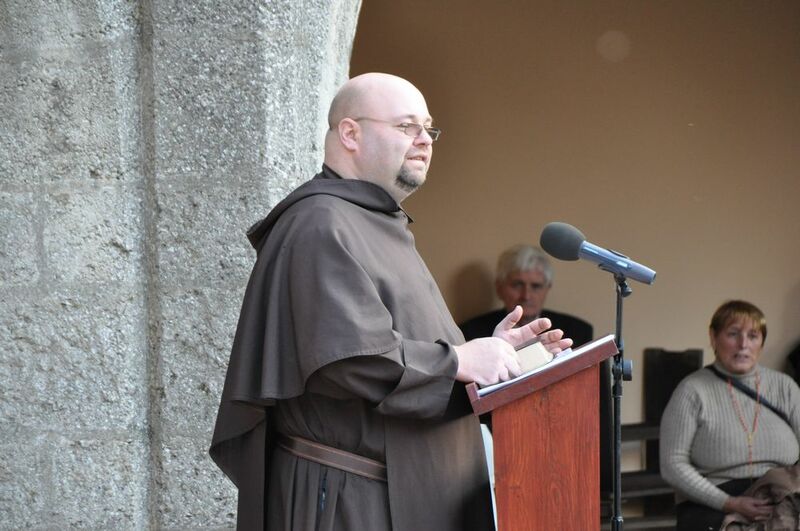 Damian Cassidy, O.Carm., is our current Vocations Coordinator. The role of the Vocations Coordinator is to help those who think that they may have a vocation to the Carmelite way of life to discern the best way forward. People often feel daunted at taking this step, but there is no need for concern. Any conversations with the Vocations Coordinator are largely informal and confidential. As such, there is no real commitment at this stage. The Vocations Coordinator can be contacted by email, phone, or in person. Experience has taught us that undue haste at the enquiry stage is seldom helpful for the candidate or the Order. It is the role of the Vocations Coordinator then to gently accompany each person as they discern what God is asking of them. Clearly the life of a person discerning a vocation will already have signs of prayerfulness, service, simplicity of life, seeking God's will and - for someone seeking to be a religious - a growth in chaste living. If the Vocations Coordinator feels that God may indeed be calling a person to the Carmelite way of life, he may meet with an enquirer several times (either at their home or elsewhere), as well as keeping contact by letter, phone or e-mail. This 'getting to know you' period is designed to allow an applicant to gain a sense of the Carmelite Order, and to begin to establish a relationship with the brothers. The Vocations Coordinator will not 'pursue' an enquirer, but simply accompany that person. The Vocations Coordinator will try to get to know something about the enquirer's background, and help them discern what God may be asking of them. The Vocations Coordinator may invite enquirers to take part in a Vocations Retreat. As a part of the discernment process the Vocations Coordinator will arrange for the individual enquiring seriously about the friar way of life to spend time in a number of our communities. In this way it is possible to see Carmelite life and ministry at first hand, to experience something of our charism and the flavour of Carmelite community, and discern whether or not this 'resonates' with the enquirer. The experience of visiting Carmelite communities is designed to give the enquirer a sense of the day-to-day life of a Carmelite: an experience of community, Carmelite prayer, and to see the variety of minstries and services Carmelites are involved in. Through conversation with various Carmelite brothers, one gains a sense of the diversity of backgrounds and experiences from which Carmelites come. Normally this whole process takes around a year so that there is ample time for prayer and to reflect on the experience of our communities. Throughout this time the Vocations Coordinator will be able to advise good material to read and provide an introduction to Carmelite spirituality. The accompaniment stage is an informal way for the candidate to discuss his life, relationship with God in prayer, and address any concerns of issues about following a vocation. Discernment is never a one-way process but always involves the community. At every important stage there is a joint seeking of God's will by the individual and by the community. through the Carmelite way of life. Having undergone a period of accompaniment and spent time visiting different Carmelite communities, if an enquirer decides he would like to become a friar then the next important step is the application process. After the period of accompaniment and initial discernment, the enquirer will be invited to write a letter of application to the Prior Provincial (the senior brother in the Province), asking to test his vocation with the Order. Once this application letter has been received, it is normal for the applicant to undertake various forms of assessment by professionals. These include a psychological, a psychiatric, and a medical assessment, as well as an interview with a panel made up of the Provincial, two other experienced friars, and usually also some lay people. Sometimes motivation can be very complex and the purpose of these various assessments are to help the candidate and the Order to know more about the candidate's personality. The assessment is not carried out to say whether or not someone should be accepted but to see if there is a reasonable possibility that an individual can grow and be happy with us. We are not looking for "perfect" people, but people who are suitably mature, having demonstrated the ability to grow through their life experiences. God calls people to Carmel from many different backgrounds and ways of life. Having completed the assessments, the Prior Provincial and his Council will consider each application in its entirety and respond. The decision whether or not to accept a person for the novitiate lies with the Prior Provincial, who is is the superior of the Order in Britain. Having been accepted to try his vocation with the Order, a candidate begins the formal stages of 'formation'. The formation process for a Carmelite is guided by central principles which are agreed by the whole Order, set out in a document known as the Ratio. Circumstances will, however, vary in each Province of the Order and so each will have its own Formation Document which apply those principles to a specific situation. Equally every individual will be different and so the formation process needs to take account of this. Formation is not just something that concerns only the early stages of Carmelite life until Simple or Solemn Profession (the period known as initial formation) but is rather a life-long process (ongoing formation). The novitiate is a period (normally a year) of living as a member of a Carmelite friar community and sharing our way of life. One description of the novitiate is 'a year-long retreat'. This is the introduction to Carmelite Life proper. Helped and guided by the Novice Director, the novice leads a full religious life as an integral part of a community. In its day-to-day rhythm of prayer, community living, and service of others, there is no real difference between the life of the Prior General (the senior brother of the whole Order) and that of the newest novice. The novitiate is a protected time where a novice is able to begin to grow into Carmelite life, and share in the Order's charism. There will be some study of the Carmelite Tradition, Prayer and the History of the Order. Great emphasis is given to time for silence and prayer to allow the necessary space for a relationship with Jesus to grow and deepen. It is also a time for full integration into community with its hardships and joys - a place where we learn the true meaning of service and daily reconciliation. It is also common practice during the noviciate for Carmelite novices to meet with fellow Carmelites from other parts of the world, and with novices from other religious orders and congregations in order to share experiences and reflect together; this gives an insight into the wider role of religious within the Church. 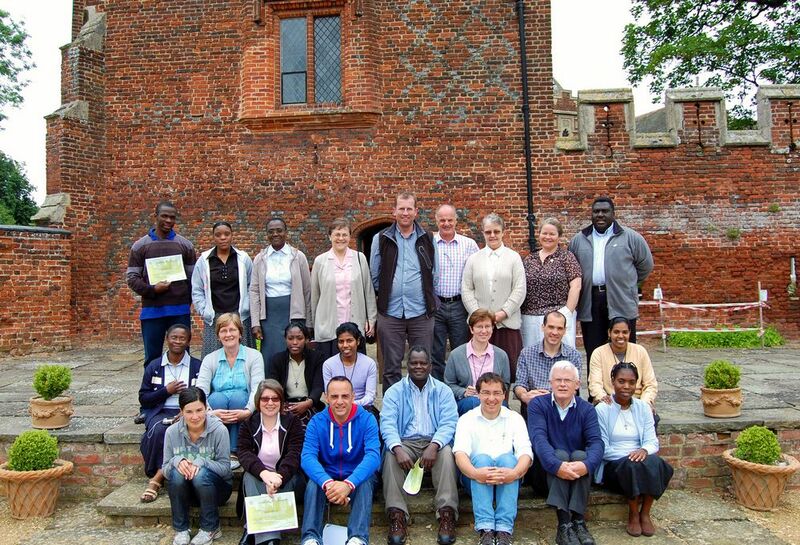 Carmelites took part in the inter-noviciate course at Buckden Towers in 2010. The novitiate is the time of discerning vocation, including whether or not a brother might also be called to priesthood. The discernment in the noviciate is geared towards the first profession of vows. Carmelites profess as vows the three 'evangelical counsels' of Chastity, Poverty and Obedience. The community as a whole discerns whether or not this is the appropriate next step for the novice. Since 2013 novices from the British Province of Carmelites have joined an international novitiate programme in Salamanca, Spain. At the end of the novitiate, subject to the agreement of the Carmelite community, the novice can apply to make Simple (first) Profession. This is made for an initial period of 3 years which can then be extended up to a maximum of 6 years. Brother Gerard Walsh, O.Carm., making his simple profession of vows. Normally after Simple Profession the newly professed brother will move to one of the Order's formation houses, either in Britain or abroad, where he will begin formation for ministry (according to the types of ministry he and the Order feels he may be called to). At present arrangements are made for each of our Simply Professed brothers to follow a course of study in the most appropriate place. Formation at this stage is guided by a team of experienced friars, and the Formation Commission of the Province. 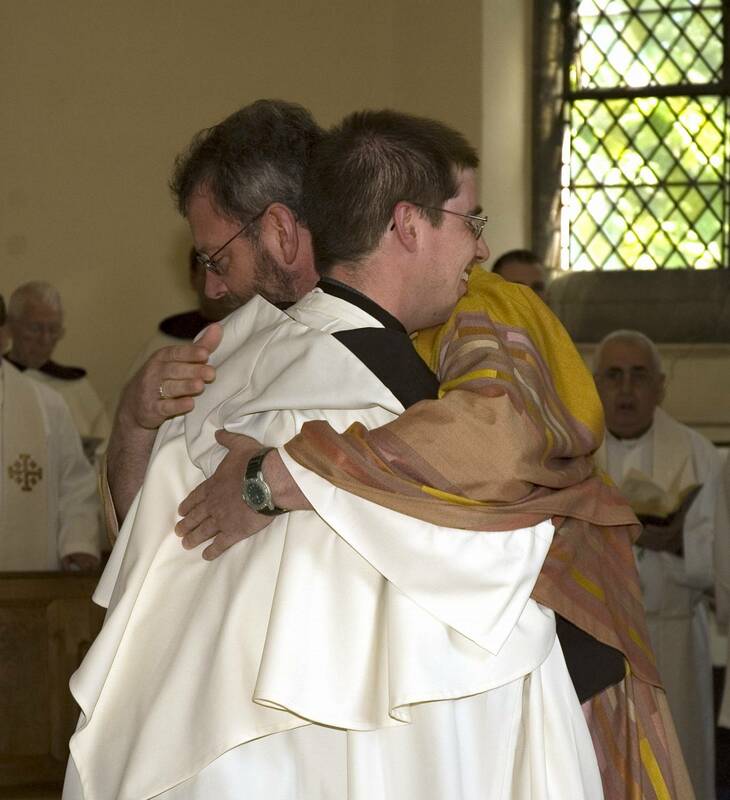 Normally the newly professed brother will engage in some form of studies, including theological study; this usually applies to both brothers seeking to be ordained and those not called to priesthood. As well as formal study the process of growth in Carmelite life continues and each of the Simply Professed will have a weekly apostolic commitment. Each summer some time is spent working as a member of one of the communities of the Province. There is always a gap between the ideal we strive for and the reality of our lives at any given stage. The Simply Professed need to know that they will be able to strive for the ideal in the concrete circumstances of the common life. Carmelites are called to minister in the midst of God's people. An integral part of the formation process involves a break in formal study and this normally takes place after three years of Simple Profession. Each of the simply professed brothers will be assigned a pastoral placement as a full member of a working community. Ministering alongside his brothers in the service of the people enables the Simply Professed brother to grow in a more realistic awareness of the challenges of Carmelite life and the need in our charism to balance commitment to prayer and community life with the needs of the apostolate. At the completion of the pastoral placement the individual will normally return to the formation house to complete his study. in the often very ordinary circumstances of life. Solemn (final) Profession is the most important step in the life of a friar and involves a life-long commitment to God, living the Evangelical Counsels within the Carmelite Order, by the profession of vows. It is a commitment also to a concrete group of people, and the commitment of the Carmelite community to the individual brother. It is not a decision to be made lightly, and the Order seeks to provide as much help as possible in enabling proper discernment to take place. As well as help that comes from the community and those concerned with formation, the candidate will also have a full month for prayer and reflection before Solemn Profession. After Solemn Profession, and the completion of studies, a friar is then assigned to an apostolate and a community by the Prior Provincial and his Council. The process of formation does not end with Solemn Profession; rather, ongoing formation is a life-long invitation to explore and know ever more deeply the love of God and neighbour. Could Carmel be your home too?